───── Discover the Naora Late Harvest story, the latest Nespresso Limited Edition 2012. Explore a tastefull journey around three time exprience. We proposed a digital experience extending the global campaign about the importance of timing. Available for desktops, tablets and smartphones, the Naora's journey takes the visitors into three immersive time sequences. 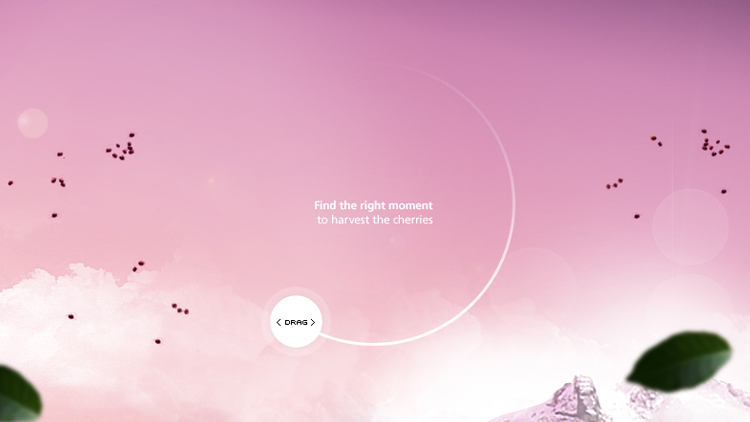 Each chapter allows visitors to control an animated sequence to find the perfect timing, like the Naora's late harvest.